In het najaar van 2017 zweeg de repeater van Zuid-Limburg… Hoewel onderhoud en verplaatsing van de repeater reeds gepland was, kwam het als een verrassing en moest er snel worden gehandeld. 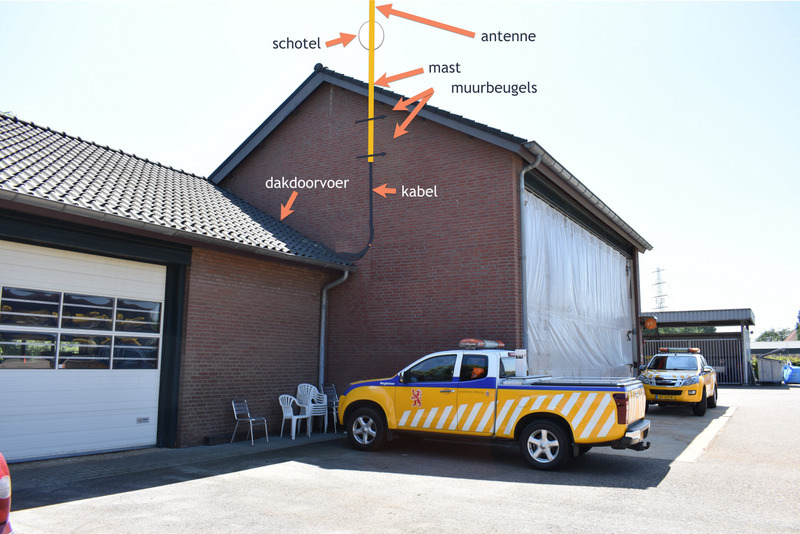 De Repeatercommissie ging op zoek naar een geschikte locatie, wat nog niet eenvoudig bleek te zijn, en naar een nieuwe repeater met modernere functies. Al met al is sinds medio juli 2018 de repeater weer operationeel! Hij staat opgesteld in Hulsberg, in het hartje van Zuid-Limburg. Meer informatie vind je op de pagina’s over de repeater. Het bestuur bedankt de leden van de Repeatercommissie en alle helpende amateurs én natuurlijk alle donateurs voor hun bijdragen! Zonder hun hulp zou de repeater geen succes geworden zijn. If you have ever operated any sort of transmitting equipment, you’ve probably heard about matching an antenna to the transmitter and using the right co-ax cable. Having everything match — for example, at 50 or 75 ohms — allows the most power to get to the antenna and out into the airwaves. Even for receiving this is important, but you generally don’t hear about it as much for receivers. But here’s a question: if a 100-watt transmitter feeds a mismatched antenna and only delivers 50 watts, where did the other 50 watts go? [ElectronicsNotes] has a multi-part blog entry that explains what happens on a mismatched transmission line, including an in-depth look at voltage standing wave ratio or VSWR. We liked the very clean graphics showing how different load mismatches affect the transmission line. We also liked how he tackled return loss and reflection coefficient. There was a time when driving a ham radio transmitter into a bad load could damage the radio. But if the radio can survive it, the effect isn’t as bad as you might think. The post points out that feedline loss is often more significant. However, the problem with modern radios is that when they detect high VSWR, they will often reduce power drastically to prevent damage. That is often the cause of poor performance more so than the actual loss of power through the VSWR mechanism. On the other hand, it is better than burning up final transistors the way older radios did. Measuring VSWR without a transmitter is a bit trickier. A network analyzer can do it. While that used to be a pretty exotic piece of gear, it has become much more common lately.